Mexico City-based ultra LCC Volaris posted its first quarterly profit of 2017, reporting MXN731 million ($40.2 million) in third-quarter net income, down 27.6% from MXN1 billion in 3Q 2016. 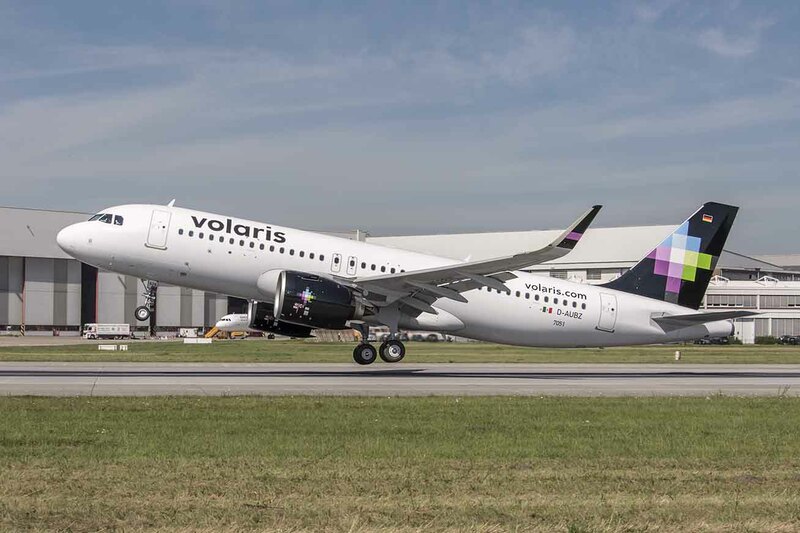 "Demand and traffic patterns, despite a competitive fare environment, had been sequentially improving, but in September, natural disasters in Mexico and in the region temporarily interrupted such recovery," Volaris CEO Enrique Beltranena said. In September, the airline faced hurricanes Irma and Maria, plus two tropical storms in the Pacific, and two earthquakes that affected 11 Mexican states. Volaris canceled 50 flights in eight airports during the period, which triggered a decline in bookings, the airline said. The airline posted third-quarter revenues of MXN6.6 billion, down 2.2% year-over-year, with non-ticket revenue increasing 18.6% to MXN1.8 billion, or 27% of Volari"™ total operating revenue. Non-ticket revenue included checked bag fees on international flights, ancillary-product combination packages and commission revenue form travel-related products, including hotel selection as a purchasing process option, cruise packages and car rentals.